Update2: 75955 Hogwarts Express and Hermione Granger is now on backorder. 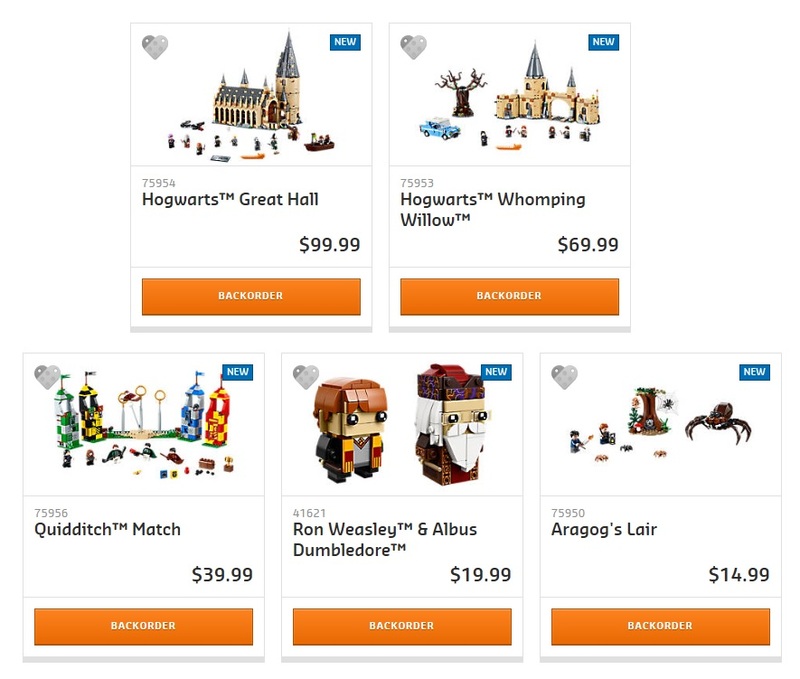 Update: LEGO BrickHeadz Harry Potter & Hedwig 41615 (on backorder) and Hermione Granger 41616 (instock) are available for purchase as well. 75955 Hogwarts Express is instock and ready for immediate shipment too. Thanks to forum member tremere for the tip. *Note that these sets don’t appear to be available yet for purchase in Canada or the UK.